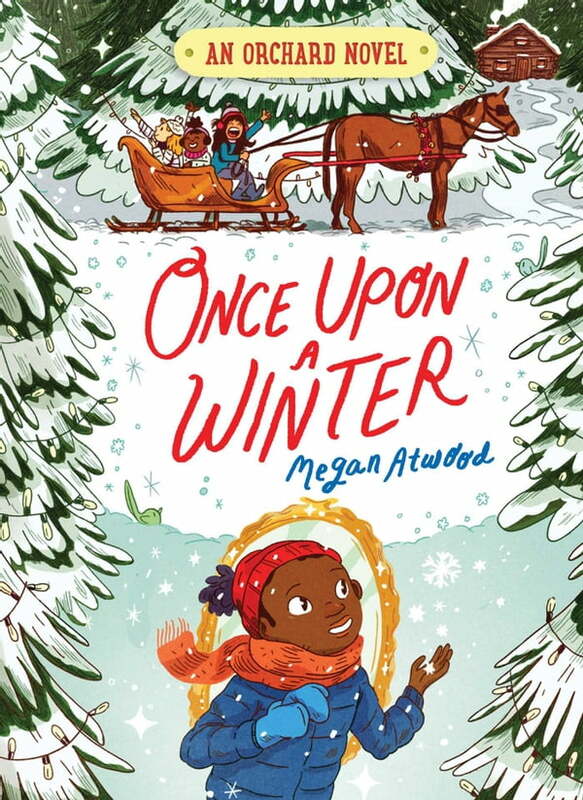 Wintertime at the orchard has Peter learning some important lessons about speaking up in this second novel of a sweet series about the bonds of friendship. Blanketed in snow, the orchard looks like a magical wonderland. But Peter is not so charmed by his new life. He just can’t ignore how he’s always ignored any longer. Sarah, Lizzie, and Olive are always talking over him and bossing him around. And on top of that, it’s really cold outside. One January day, Peter reluctantly agrees to join the girls on a carriage ride through the freshly fallen snow. But things go terribly wrong when a dog incident has the horses running away in fear, with Peter and the carriage trailing dangerously behind them. Then, Peter hits his head on a passing branch and is thrown to the ground. Woozy, Peter wakes up alone in the snow but he makes his way to a cozy cottage. Kai, the cool new kid, opens the door and welcomes Peter inside. Kai shows him a magical mirror that brings the two new friends to another world. A world where people listen to Peter and need his help to defeat dragons, warlocks, and other scary things. Then Peter wakes up in the hospital with a bandage around his head. Everyone is so happy to see him awake. Peter tries to tell them all about the mirror but they dismiss his experience as a wild dream. When Peter goes back to school, it seems like Kai knows what Peter’s talking about. Could the dream have been real? Is there really a magic portal deep in the woods behind the orchard? Even if everyone thinks he’s crazy, Peter is determined to find out.